Renters across the country appear locked in a battle with landlords as legal protections fall behind those in virtually every other OECD country. It was a predicament renter Nathan found himself in, with the landlords of his inner-city Sydney terrace refusing to fix the leak in his kitchen roof, despite it flooding the house several times earlier this year. “My housemates have been trying to get our current house fixed for two years as it leaks heavily when it rains. They [the landlords] just ignore the issue or refuse to fix it,” he told The New Daily. It took a particularly heavy storm for the landlords to finally agree to have someone look at it. Over the past three decades renting has become more common in Australia, with more than seven million people, or one in three, now renting their homes. Despite this, Associate Professor at RMIT’s Centre for Urban Research, Julie Lawson, says Australian tenants still have fewer rights than virtually every other country in the OECD. “Australia’s tenancy laws, especially regarding the length of tenancy and grounds for eviction, are among the weakest in the Western world,” she told The New Daily. “The length of contracts, rent rises and maintenance are more carefully regulated elsewhere than Australia,” she said. The Netherlands, Germany, and Denmark offer infinite leases. In Australia, leases can be as short as month to month, and renters can be evicted at any time with little notice. Currently, no-grounds evictions – where tenants can be evicted without reason – are legal in every state and territory across Australia. In comparison, they’re prohibited in most countries in the OECD, although are allowed in limited circumstances in New Zealand, the United Kingdom and Iceland. No-grounds evictions are increasingly becoming the key rental issue in Australia, with advocates arguing they undermine other areas of rental rights. 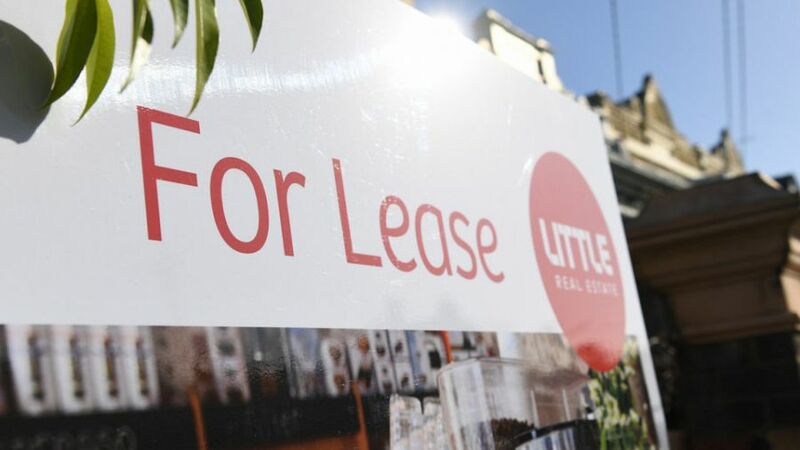 “Tenants are always going to pause and think ‘Oh I shouldn’t complain’,” senior policy adviser at the Tenants Union of NSW, Leo Patterson Ross, told The New Daily. “Landlords and agents know they can evict you and that’s why we see this refusal from agents to do repairs because there are no consequences. “It undermines all the other renters’ rights and it affects everyone because the tenants don’t know how their landlord is going to react to a repair request. “There’s no penalty for refusing to do repairs, or leasing out a property which really needs repairs,” he said. This was a situation house hunter, Elly Castle, came across recently when she inspected a three-bedroom house in the northern suburbs of Melbourne. “The walls were crumbling to pieces, holes bigger than my head in most rooms, but when we asked if they would be fixed, we were told the place is ‘as is’,” she said. Ms Lawson said while tenancy laws in Australia differ between state and territories, they’re all heavily tilted in the landlord’s favour. “As renting becomes more of a long-term prospect for many Australian households, it is unfair that they are forced into less secure and more exploitative conditions than established home owners.” she said. The New Daily contacted the Real Estate Institute of Australia for a response, but it declined to provide comment on the story.